The AOGME (formerly AODME) is now accepting applications for membership in its Collegium of Fellows. 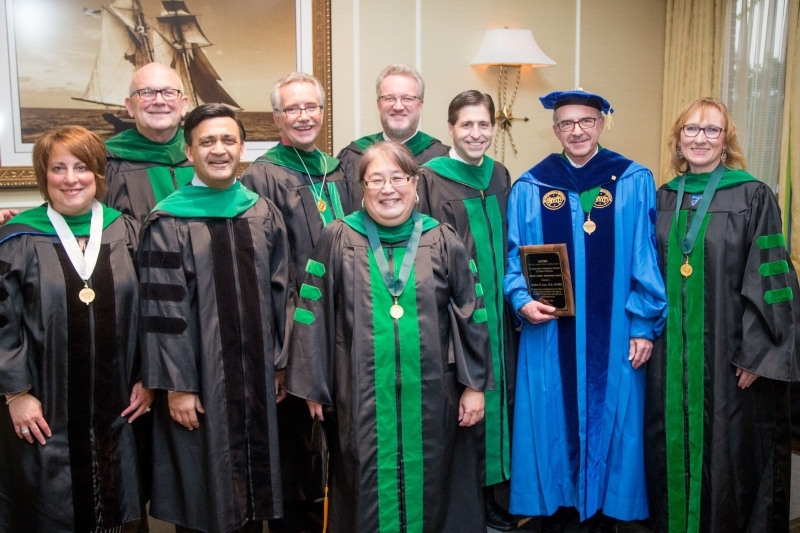 The Collegium is an assembly of leaders who have earned the award of "fellow" in recognition of their dedication and commitment to osteopathic medical education. Applications will be accepted until December 31, 2018. In addition to the application, we also ask that applicants receive a letter of support from a current Collegium fellow. View the list of Fellows for potential sponsors. New fellows will be inducted during the Collegium ceremony at Educating Leaders 2019, the AACOM Annual Conference. As a proud member of the Collegium of Fellows, I hope you will consider applying to join this distinguished group of osteopathic medical educators.